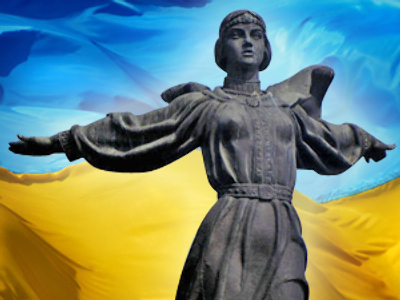 In the light of the resignation of Ukraine’s finance minister and recent reports about the poor state of Ukraine’s economy, forecasts of Ukraine’s imminent national default seem to be more and more probable. On Tuesday the country’s parliament approved the resignation of Finance Ministry head Viktor Pinzenik who announced his decision on February 12. He then stated he disagrees with the government’s budget policy and that he has no possibility of influencing the situation. Also, without prior notification, the country’s Statistics Committee has decided to make public only quarterly reports on Ukraine’s GDP. Ukrainian authorities say such data will be more accurate and trustworthy. 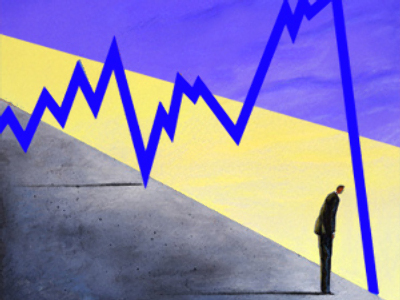 The Statistics Committee will only publish monthly reports concerning a limited number of industries. Critics say the government is not able to cope with the crisis and is trying to save face by concealing economic data from the population. Independent economists forecast Ukraine’s GDP will fall by 8-15 per cent in 2009 while the government plans 0.4 per cent growth. But there seems to be no grounds for optimism. The Statistics Committee has revealed Ukrainian industrial production has plunged 16.1 per cent compared to December 2008 and 34.1 per cent compared to last January. In January 2009 the decline in construction was 57.6 per cent, 35.1 per cent in transport and 7.8 per cent in the retail trade. The national currency has fallen by 40 per cent against the dollar this year. Foreign investment flow in 2008 dropped by 22.1 per cent compared to the previous year. Experts say Ukraine may face a default similar to that seen by Russia in 1998 when billions in foreign debt were written off. Earlier, Austria's finance minister warned of the risk of an economic “catastrophe” in the country triggering a “domino effect” of problems further west. 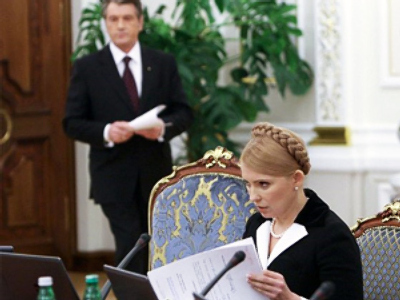 The ongoing political battle between President Viktor Yushchenko and Prime Minister Timoshenko ahead of presidential elections is only making thing worse. The date has not been set yet and will be announced at the end of March. Some analysts even believe Yushchenko may provoke sovereign default to gain political points. 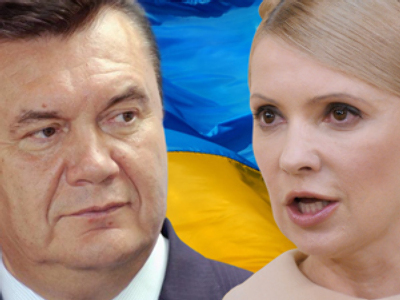 If so, Timoshenko would not be able to fulfill her promises concerning payments of salaries and pensions.